One of my online buddies has been bugging me for a checklist on how to self-publish. Instead of rehashing what others have written, I will summarize my journey in 8 easy steps through blog posts I wrote along the way. Do not skimp on this step. People really do judge a book by the cover and appearances. There is nothing more off-putting then finding a book with run-on paragraphs or tab/line-break issues. Remember, an ebook flows differently than a print book. When you format for an e-book, do not leave blank lines. On small devices like an iPhone, your reader may end up with a blank page. Do not use tabs for paragraphs, use the paragraph format to control the indentation. And do not use "hard-hyphenization" because you never know where a line will end on someone's e-reader. And finally, proofread after formatting. You never know what artifacts could have been introduced. Ebook formatting is not difficult if you follow the publishers' guidelines, however if you need a hand, I provide formatting services. See Ebook Formatting: What is NCX View? Promotion, Schuhmotion, Where Should I Place My Ad? 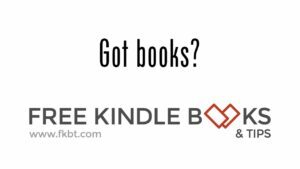 Indie authors are generous in answering questions and would love to give you advice. Market conditions change constantly so whatever worked in the past may not work today. There is no substitute for the camaraderie and up-to-date information found in an author's group. Don't go it alone! Support from others in your field can mean the difference between rattling around for hours trying to find your way and having a host of people ready to answer your questions, hold your hand, and show you the path. The World Literary Cafe (WLC) is based on the spirit of paying-it-forward in the literary community. We are a community of independent and traditionally published authors, reviewers, bloggers, and other literary service providers, and we welcome you to join us. What about you? Do you have tips for new self-publishing authors? Websites or book suggestions? Please post them in the comments below. Great advice, Rachelle. You are always so generous with the information you provide! Thanks! Thanks, I might do a detailed post on Social networking at some point... there's just so much to do. Then there is the busness side. Awesome checklist Rachelle (especially the self-edit checklist - I'm keeping it next to me while I revise my 1st draft)! Thank you so much for putting this together. Great post, Rachelle. A great way to summarize your journey so others can dig in where they need to. Thanks for the link! Will definitely look this over during the next couple of weeks, and I'll probably ask you a lot of questions too! LOL!